Mix rava and yogurt. Add salt to taste and then set aside for 15 min. Heat 1 tsp oil in a sauce pan, add mustard seeds and cover the pan. When the seeds are done popping, add chili, ginger, curry leaves, stir for 15 sec and then add this to the rava mix. Stir well. 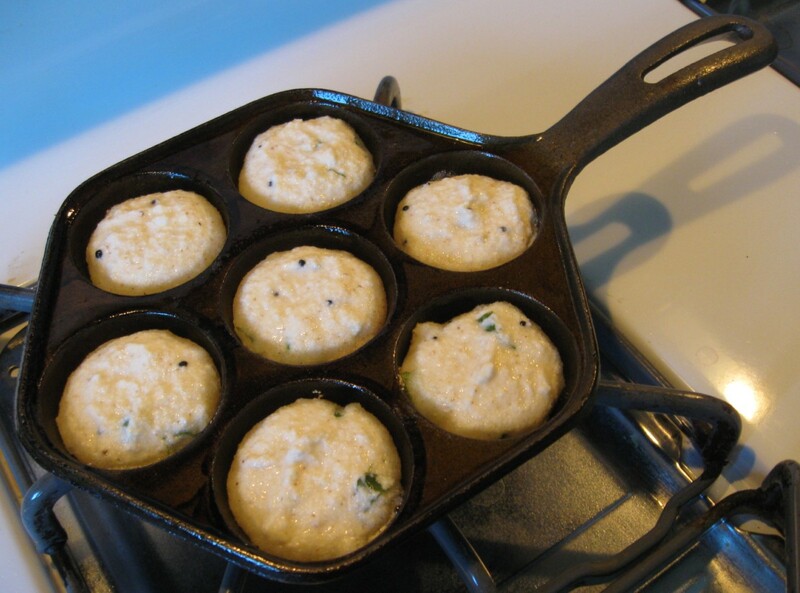 Spray the appam maker or aebleskiver pan with non-stick cooking spray and then heat on medium heat. Add ½ tsp oil to the bottom of each cup and heat until hot. Then pour about 2 tbsp batter to each cup. As soon as they get bubbly around the edge, turn over with a fork, and continue cooking until lightly browned on all sides. 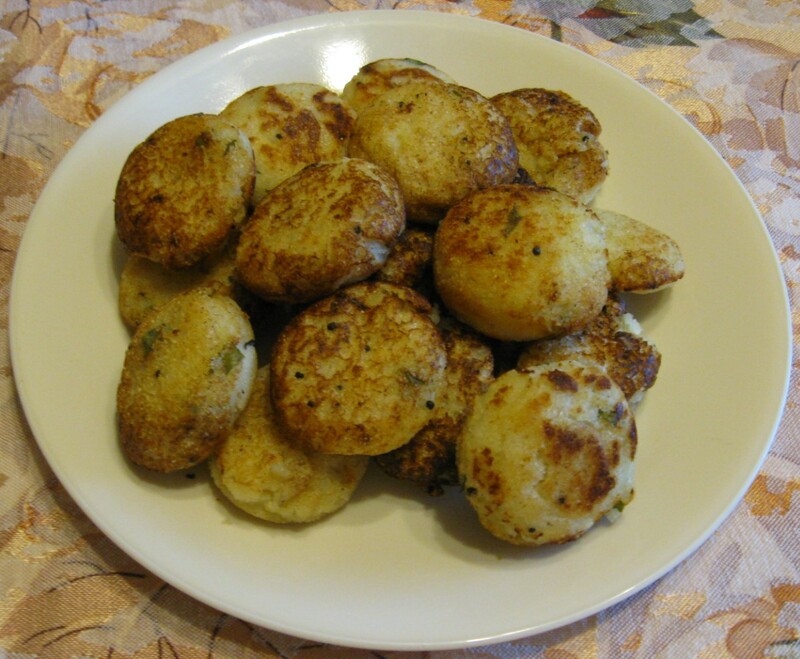 Serve appam with mint/cilantro chutney.